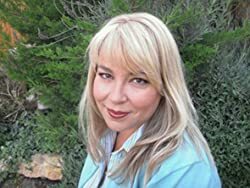 Beth Yarnall writes mysteries, romantic suspense, and just about any story that pops into her head. A former hairstylist and make up artist, Beth's stories often feature beauty industry professionals. Beth lives in Southern California with her husband, sons, and their rescue dog. Please enter your email address and click the Follow button to follow Beth Yarnall! The life of a spy is full of lies and deception. Nothing is real. Except, Gia’s very real, accidental pregnancy.Her mistake could not only cost her the only man she’s ever loved, the father of her child, Truett Nash, it could also get them both killed.